The Austin Coalition, made of three animal welfare agencies, has been awarded the prestigious Maddie's® Lifesaving Award for Travis County, TX. This is an unrestricted grant totaling $3 million to recognize their achievement in sustaining and maintaining the county's no-kill status, saving all healthy and treatable shelter pets. The recipients are: Austin Animal Center ($1,170,000); Austin Humane Society ($570,000); and Austin Pets Alive! ($1,260,000). "Maddie's Fund has long admired Travis County for their outstanding lifesaving efforts," said President Rich Avanzino. 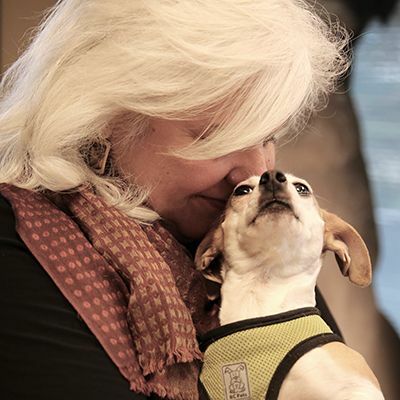 "We have watched the Austin Coalition work together to create some of the most effective adoption, volunteer and foster programs in the nation, allowing animals to be placed quickly into loving homes. The relationship between the agencies is a tremendously successful model that we hope others will follow." The City of Austin began working towards becoming no-kill in 1997, and their live release rate grew from 37% in 1998 to 50% in 2002. The partnership between animal welfare organizations was formed in 2007 and the live release rate continued to increase, reaching 94% in 2012 with an intake for all organizations of 30,701. The Austin Coalition will continue to utilize and grow their programs, which include enhanced medical and behavioral care, feral cat Trap-Neuter-Return, comprehensive adoption programs, foster homes, transfers to partners, surrender alternatives, community outreach and high-volume, low-cost spay/neuter. The Maddie's® Lifesaving Award was established to recognize communities that are leading the way in saving animal lives. The award is designed to acknowledge the outstanding contributions made by coalitions consisting of animal control agencies, traditional shelters and adoption guarantee organizations in which all groups have already implemented an adoption guarantee for all healthy and treatable shelter pets in their target community and are likely to sustain it in the future.